Our bodies are remarkably good at taking care of themselves. Why then, do we get sick at all? We get sick when our bodies’ defenses are overrun. Most of the time, we think about being “well” as avoiding colds and the flu so we can go about our daily schedule. We eat right, get some sleep, try not to drink too much, and generally keep healthy so we don’t miss a lot of work or feel lousy. That is the working definition of staying well for a lot of people. For some people, however, staying well has an entirely different meaning. To those who battle ongoing diseases like MS, cancer, lupus, multiple sensitivity disorder, chronic fatigue syndrome, and other conditions, staying well can mean the difference between a productive life and one spent as a prisoner to their disease. It’s my belief that the key to staying well is two fold: to minimize exposure to pathogens and environmental chemicals that can make us sick and also to keep our defenses strong through adequate sleep, exercise, a health-promoting diet, and practices that preserve our beneficial microbiome. I’m not a doctor, but when I look at people who are sick, it often appears to me that not only was there exposure to the disease, but there was a simultaneous lowering of the defenses that let the illness take hold. Throughout my book, “Living Well”, I discuss good practices for promoting robust health: getting eight hours of sleep each night and setting regular daily schedules; exercising and avoiding sedentary behavior; seeking out healthy foods and avoiding empty calories and additives; and protecting and fostering the beneficial microbes that play an integral role in our good health. 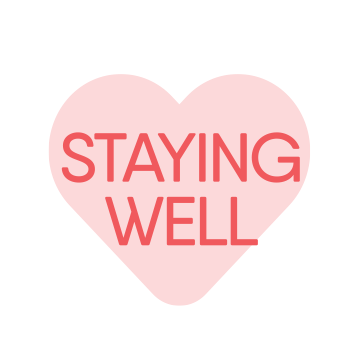 Following the Living Well Program will give anyone an excellent foundation in warding off illness. What do you do to avoid getting sick?